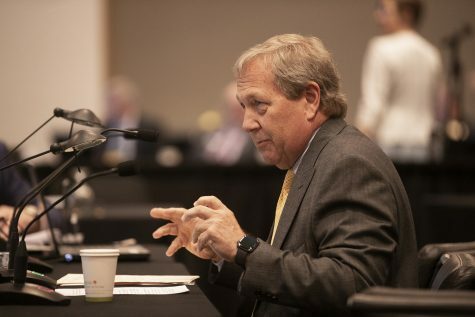 The state Board of Regents has announced Aug. 14 tuition task force meeting at the UI, with three other meetings scheduled across the state that will include legislative and business stakeholders, as well as the public and university communities. 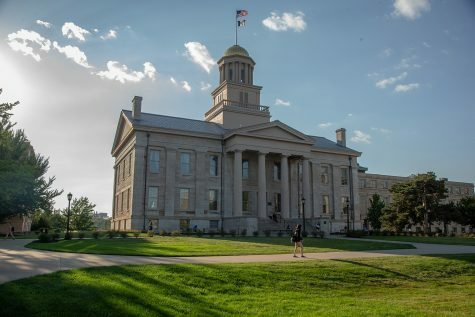 Five-year tuition plans from Iowa’s three public universities will be the highlight of the state Board of Regents’ tuition task force meetings taking place later this summer. The task force’s four meetings will commence with a July 27 meeting at the Pappajohn Education Center, 1200 Grand Ave., Des Moines, according to a schedule released by the regents. Those invited to make presentations include Gov. Kim Reynolds or someone from her office, legislative leaders, and business and economic development stakeholders. 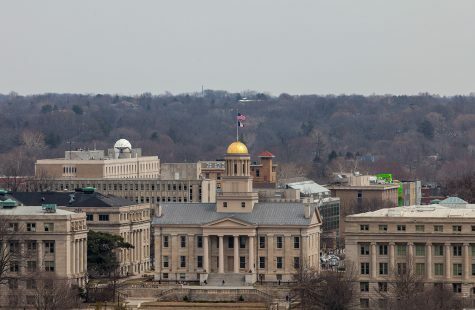 In August, the task force will hold meetings at the public universities — the University of Northern Iowa, Iowa State University, and the University of Iowa — during which university representatives will present five-year tuition proposals to the task force. These meetings will also include an hourlong listening session. All meetings are open to the public, and they will be live-streamed and archived. The public can email the task force at the regents’ website. The regents will hear a summary of the task force’s meetings at its Sept. 6-7 meeting on the UI campus. 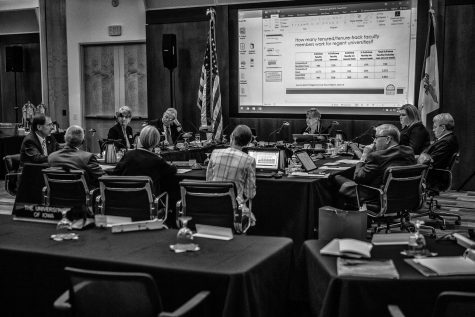 Through the task force’s meetings, the regents plan to re-examine the process of setting tuition at its three institutions and come up with five-year models that will provide students and families with predictability in planning their higher-education finances. 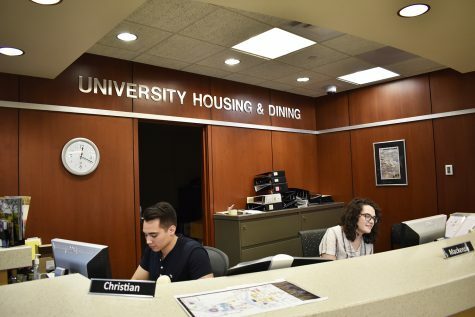 These plans may vary for each institution, though the regents have traditionally aimed to keep base resident undergraduate tuition roughly the same. 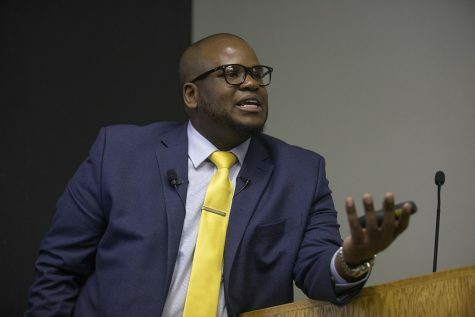 “Each institution is a little bit different, and that’s one thing that we haven’t had any votes or discussion, but there’s a general trend that we do want to allow the universities to maybe make some adjustments based on their own needs,” Regent President Michael Richards said after the June 8 meeting at UNI. 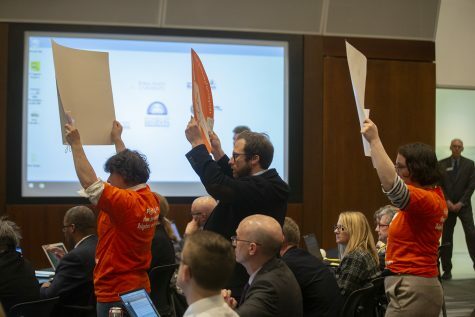 The task force will convene after a series of tuition increases, including two-consecutive June votes to hike tuition, which student-government leaders have condemned as being unfair to students and families who have already planned their finances based on the tuition rates approved in December each year. In an attempt to offer predictability in approving tuition rates and state appropriations requests, the regents unveiled in September 2016 a dynamic “2+2” model to provide students, families, and state lawmakers with a two-year funding outlook. 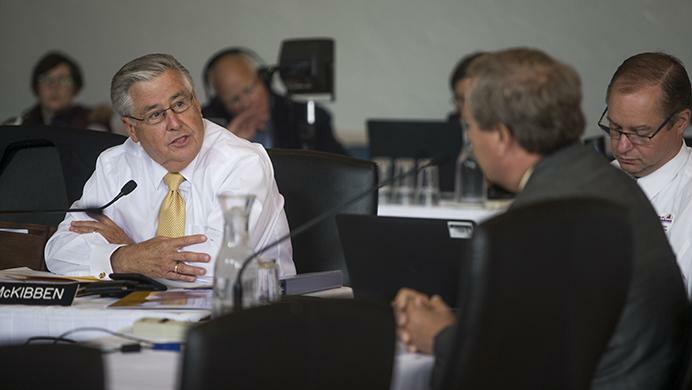 Former Regent President Bruce Rastetter hinted at the formation of the task force at the regents’ April meeting in Council Bluffs when discussing the likelihood of a vote in the near future to increase tuition due to midyear budget cuts. A state budget shortfall of more than $100 million in January resulted in a reduction of approximately $18 million in state appropriations the three regent institutions, with the UI seeing a loss upwards of $9 million. In light of the cuts, Rastetter said, the task force would be key to discussing the realities of public support for state universities. 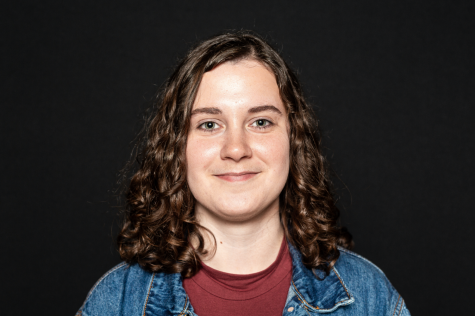 Editor’s note (7/10/2017): An earlier version stated that the UISG leaders advocated for the use of the Iowa Tuition Grant to support resident students attending regent universities. 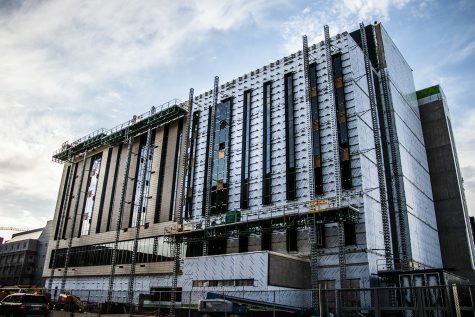 They are now advocating for the establishment of a new need-based tuition grant program to support resident students wishing to attend regent universities.